At the end of July John returned to Malawi where he will be involved in working on various projects for 3 months. Although it is not the rainy season, John arrived to a mere 14 degrees C and pouring rain! 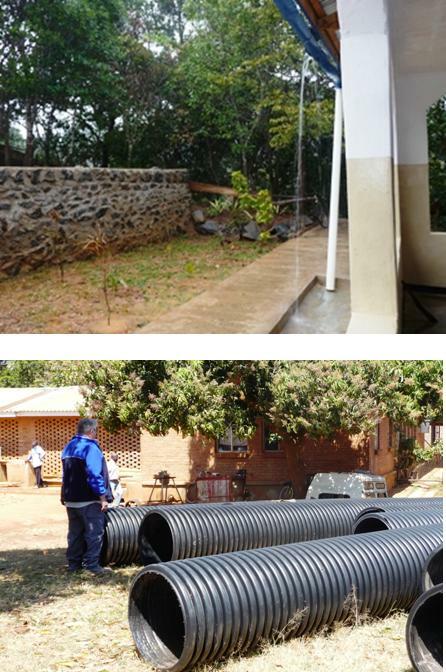 The Raven Trust is working with Mzuzu University and hospital primary health care departments on a project to map wells and water sources, report on the condition of wells, repair them as necessary, set up a reporting system for maintenance of the wells and test the quality of the water supplied. This is a huge project but very important in the work of delivering a safe water supply to as many people as possible in Northern Malawi. John will also be investigating a water supply at Henga and water and sewage systems at Ekwendeni Hospital. Also on John’s “to do” list is the building of several bridges across water courses which cut villages off from services during the rainy season. For this purpose huge pipes, which had been donated, were sent out in a container earlier in the year. They have been kept safely at Ekwendeni and now have to be transported to the locations of the bridges. As always, John will be talking to various key people and departments to learn what Malawians need from the Raven Trust and how goods sent to Malawi by container are being used.